Are U.S. beekeepers too emotional? Jeff Anderson is a Minnesota beekeeper with nearly 40 years of experience. His bees are in Minnesota in the summer for honey production and in California in the winter for almond pollination. For beekeepers with 1 or 2 colonies it may be difficult to visualize the losses being experienced by larger operations. 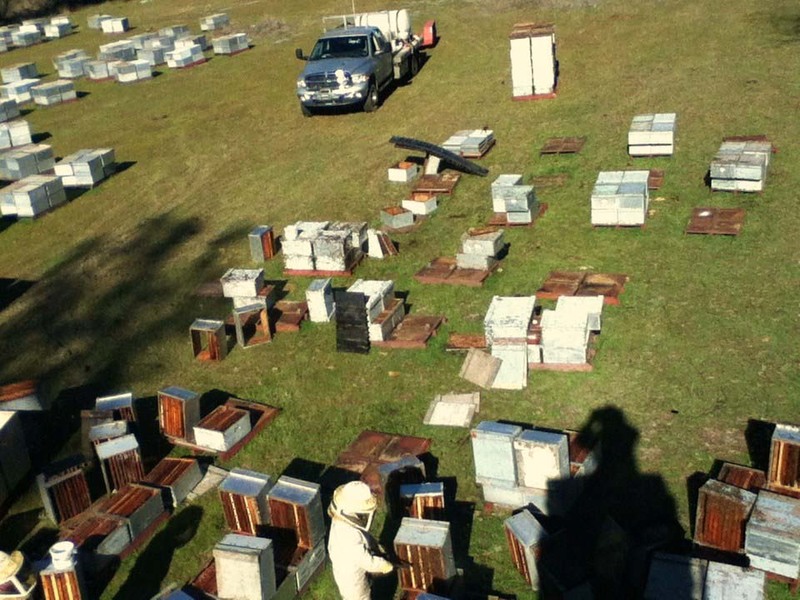 Hopefully these photos will illustrate what the challenges are for commercial beekeepers. I am in the same boat as Jeff, the numbers are just smaller for me. This picture shows dead hives removed and the small ones merged in the far end of the picture. I should have let the mess stand and taken the picture then started the clean up. The close side of the picture is what working the hives looks like in progress. Photographed by Jeff Anderson. This picture was taken when most of the mess was either merged or dead equipment palletized off on the side of the bee yard. Photographed by Jeff Anderson. 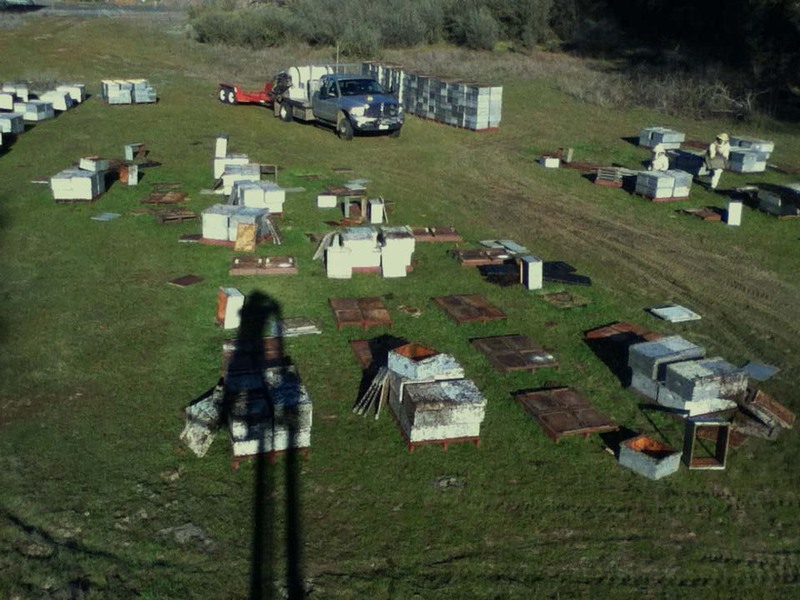 This picture shows equipment stacked to the side of the bee yard from dead hives. This is from only 1/2 of the semi-load in this stockpile bee yard. There were 480 hives in this semi-load. After pulling out the dead hives there were 150 live hives. This is what USDA calls overwinter loss, NOT to be confused with yearly loss. 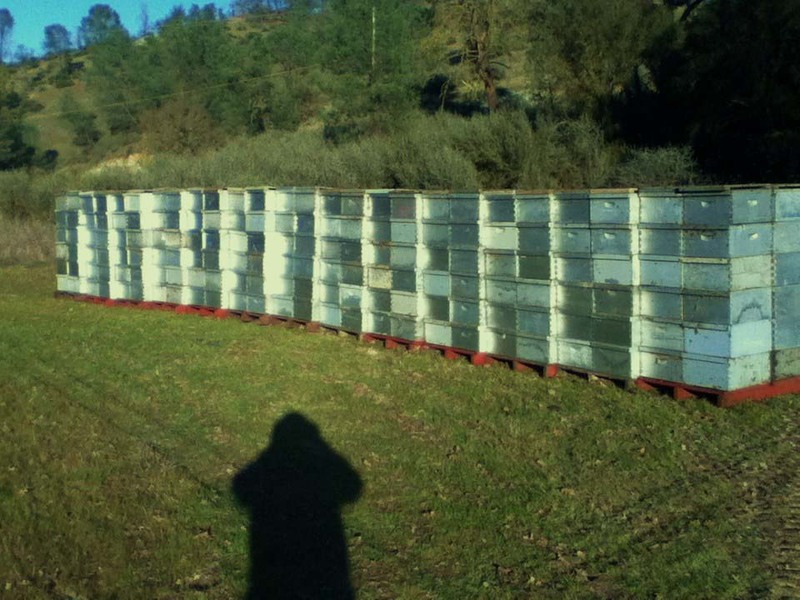 All APPEARED to be viable hives November 1st when they were hauled to California. Photographed by Jeff Anderson. EPA has stated that US beekeepers are too emotional when they discuss their operations’ hive mortality. Sorry, working hives that have been decimated into this condition simply so chemical manufacturers make a profit for their shareholders is just wrong.